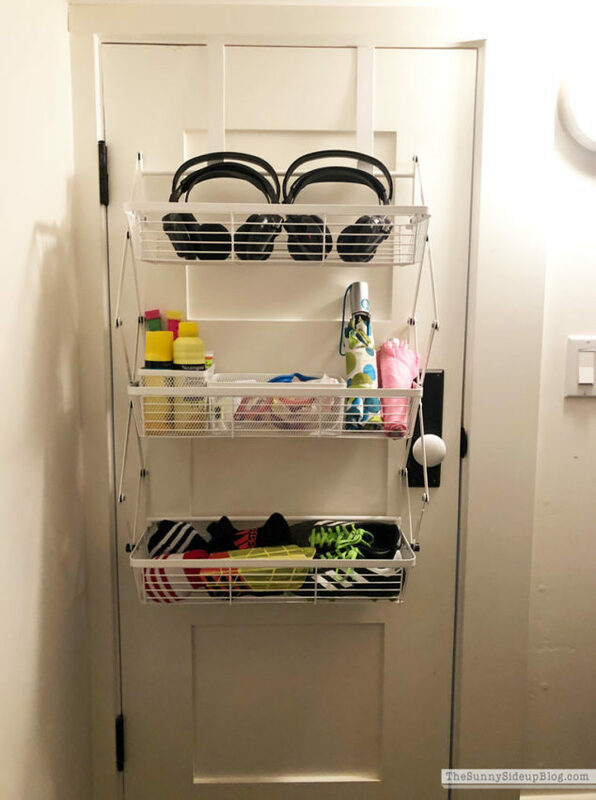 QVC reached out to me at the beginning of the year and asked if I wanted to pick five of their organizing solutions to share in my home. 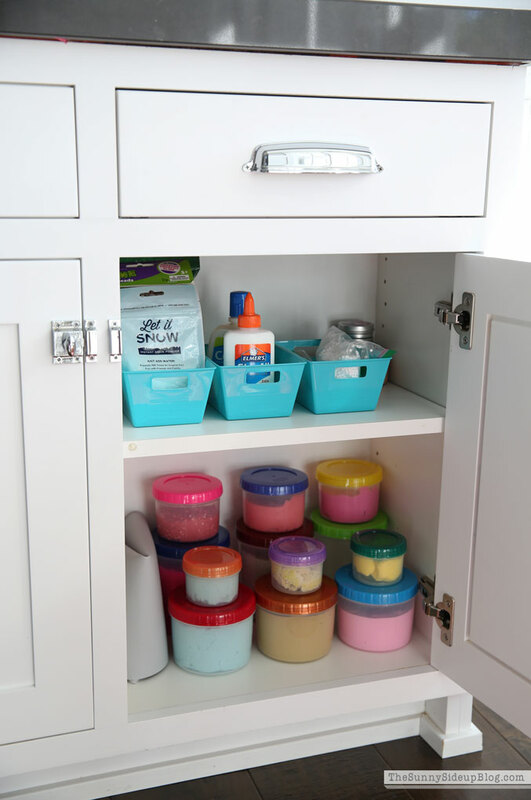 I started going through all of their organizing products on-line and felt like a kid in a candy store. They have so many fun items I had a hard time choosing which 5 to feature! But I definitely had some problem areas in my home I was excited to improve and can’t wait to show you how things turned out. 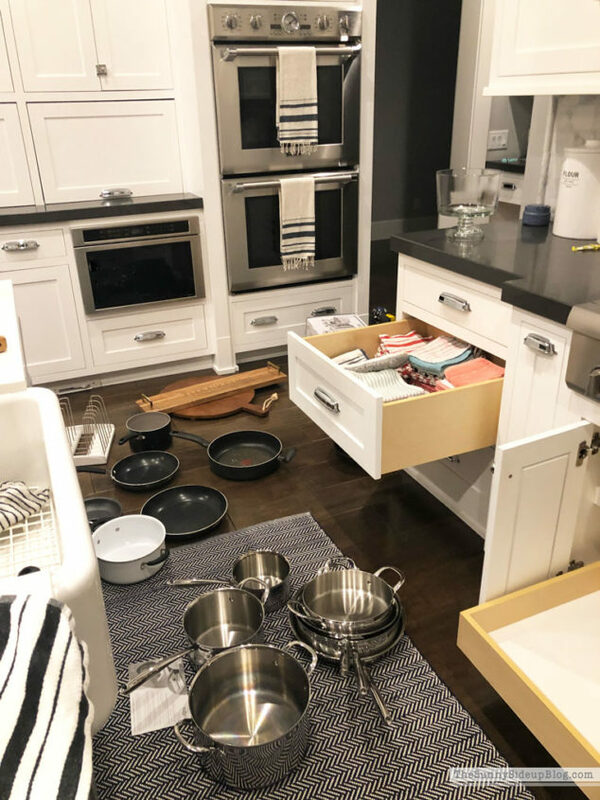 First problem on my list to fix – my pots and pans! I didn’t get a “before” of them but trust me when I say they were bad! 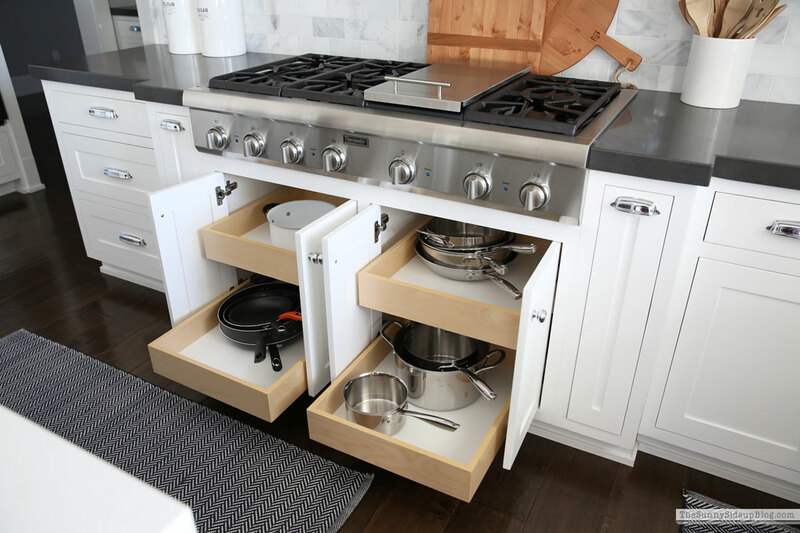 When we built our house I wanted two long pull out drawers for pots and pans under our stove, but because of the size of range I chose, the drawers were going to be too long and large to pull. 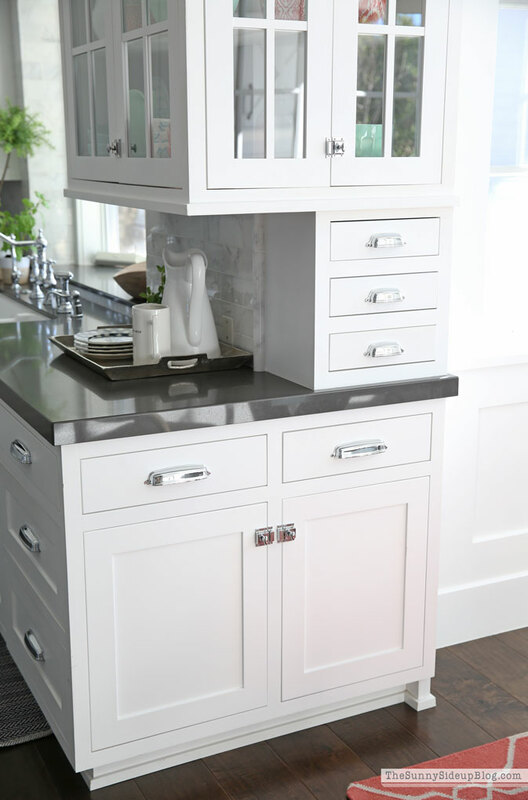 I opted for two sets of cabinets with pull out drawers inside instead. They were an un-organized hot mess before, but now.. So organized! The reason they were a mess before was because I was trying to cram too much in them. I had lots of pans I never used plus all of the lids inside and it was just too much. Taking out all of the lids and clearing out pans I don’t use anymore freed up so much space! Now it’s easy to see the pans I love and use most often. MUCH better. Do you hear the angels? I believe they started singing once again. It’s a happy sound indeed. ;) Seriously so much better! I got rid of everything I wasn’t using, moved a few things to a better location, and now I have room to store the items I truly love and use most often. 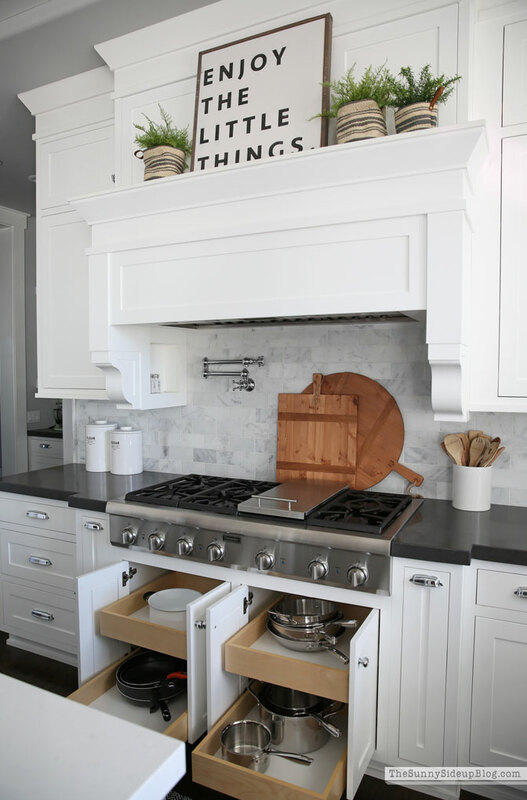 A few larger kitchen items on the left. 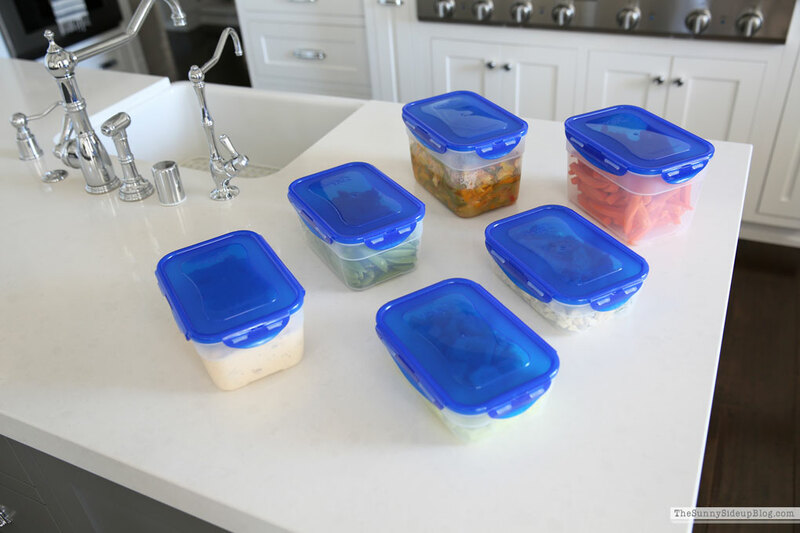 The Pot Lid Organizers are also so easy to adjust to fit the size of your specific lids and hold everything so nice and organized. 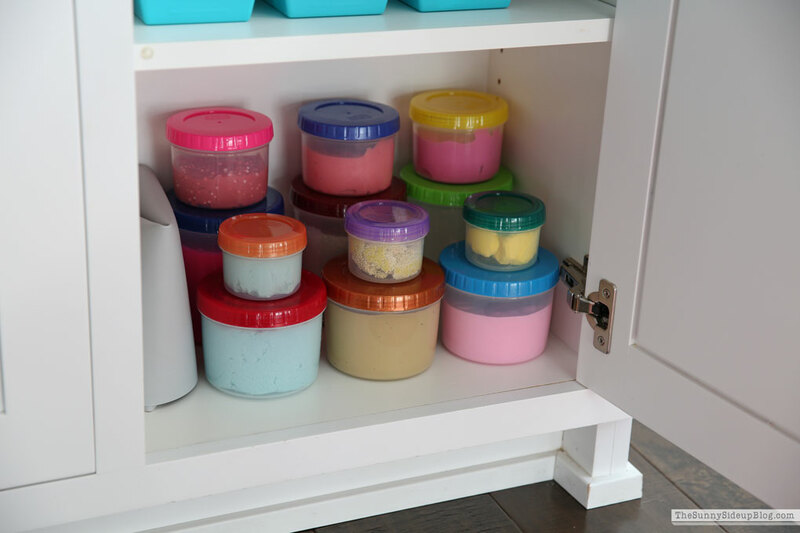 I love that they make it so easy to see what I need instead of searching through a messy pile to find the right lid. 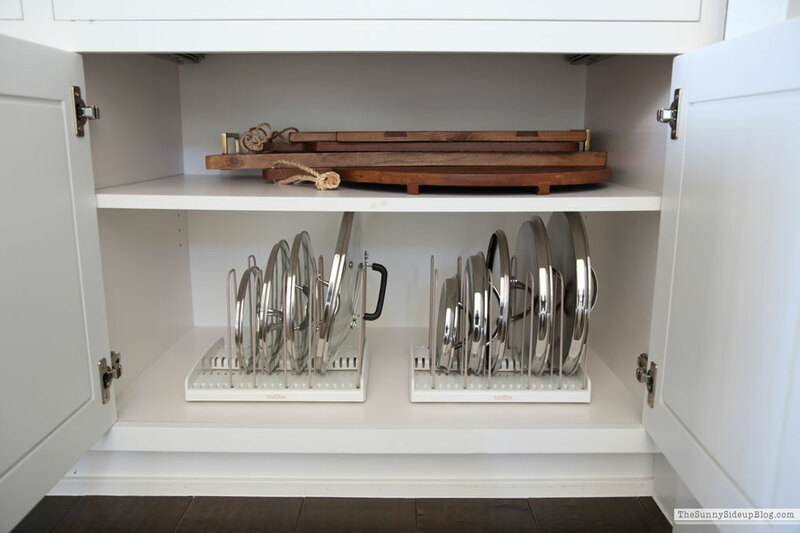 They are such a great organizing solution – I can’t believe I’ve lived this long without them! This little cabinet has been driving me crazy for months! 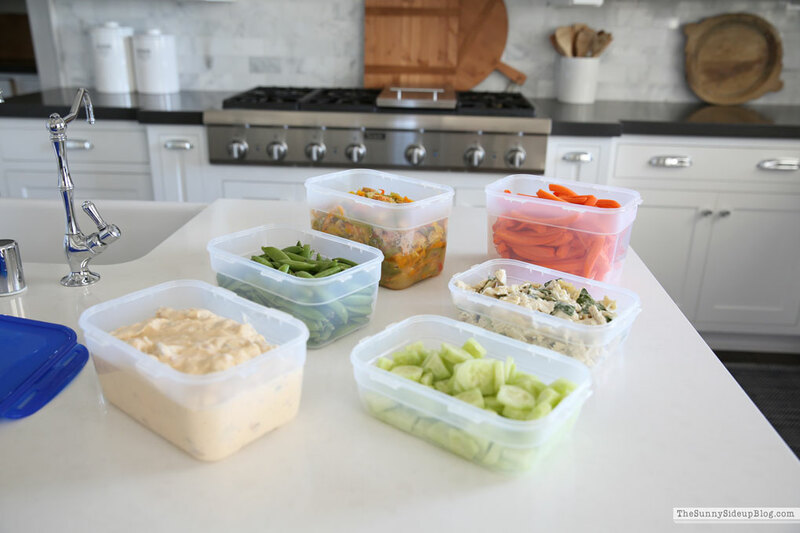 She was using so many different sizes of containers and everything was crammed together and I knew there had to be a better way to keep the slime at bay! 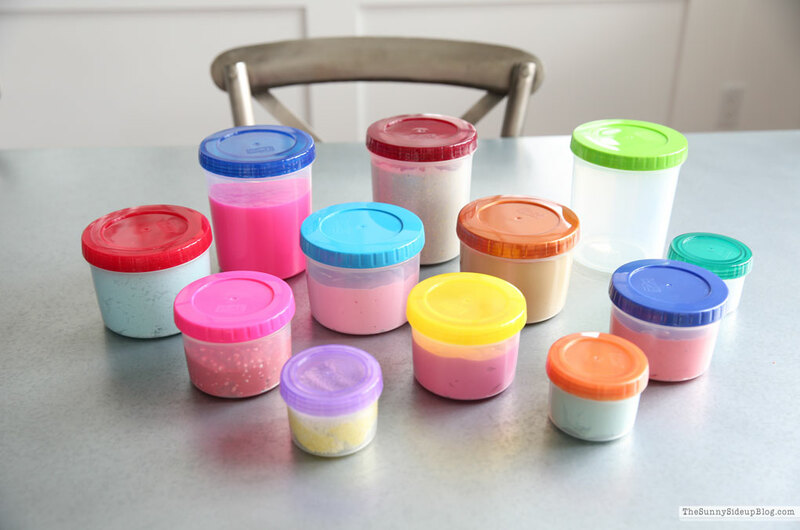 or in the kitchen to hold various colors, types and sizes of slime. 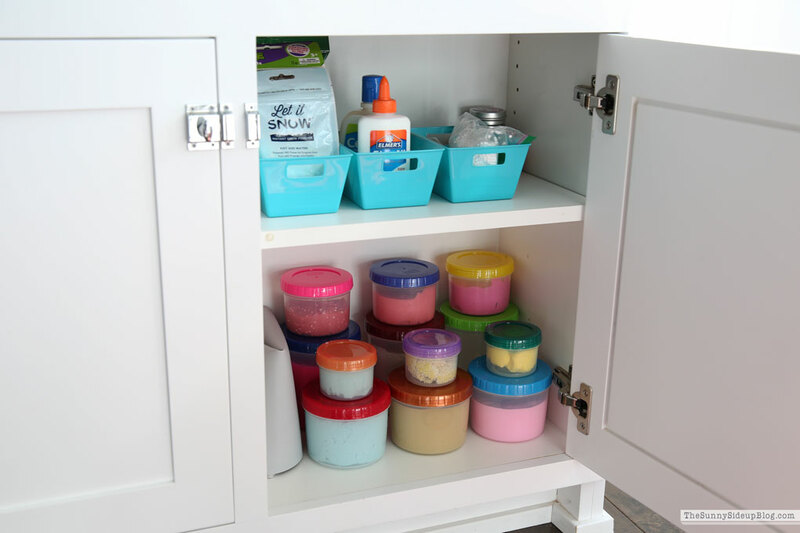 ;) Addison loved moving all of her slime over to these jars and was so excited about her new organized slime cupboard! Ta-da! Talk about an improvement! This took all of 15 minutes! I kept all of her slime on the bottom shelf and her supplies on the top. 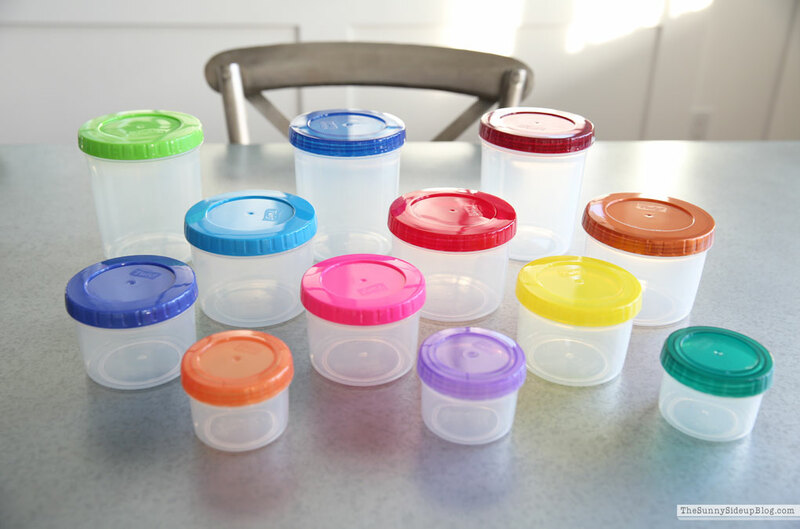 It’s amazing how these stackable storage jars saved so much room! She has one large empty jar left to fill but knows that if she wants to make more slime after that she has to toss some old slime! That way we can keep things organized in this small cupboard and mom won’t completely lose her mind with slime taking over the kitchen. Addison also knows the rule that if slime is out it has to be on the mat I bought her and it can’t leave the kitchen! Luckily she’s a responsible slimer so we haven’t had any problems. Next organizing solution.. time to open my little hobbit door and straighten the mudroom luggage closet again! It’s a space that always needs a refresh each year. 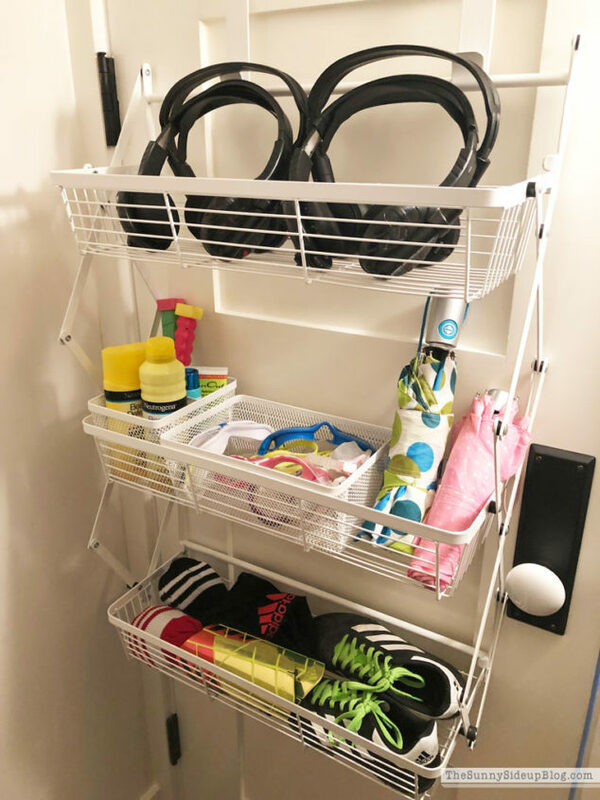 Part of the reason this little closet is hard to keep clean is because it’s such a catch all for random miscellaneous items that we aren’t using. 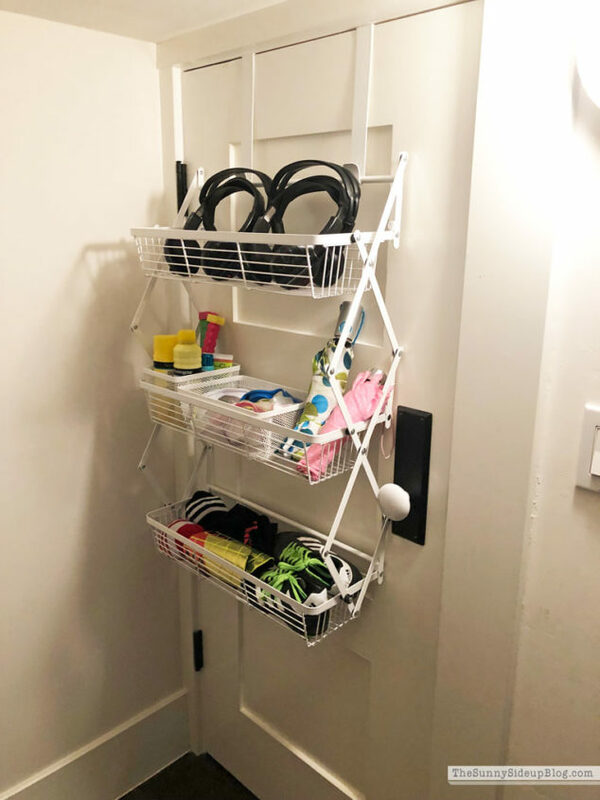 This Over-The-Door Collapsible Organizer was a perfect solution! It is SO easy to install. Just hang it over a door and bam. Extra vertical storage! Do you hear the singing in the background? Car headphones, pool odds and ends, Kole’s soccer socks and shoes that he’ll need next season but doesn’t need now. 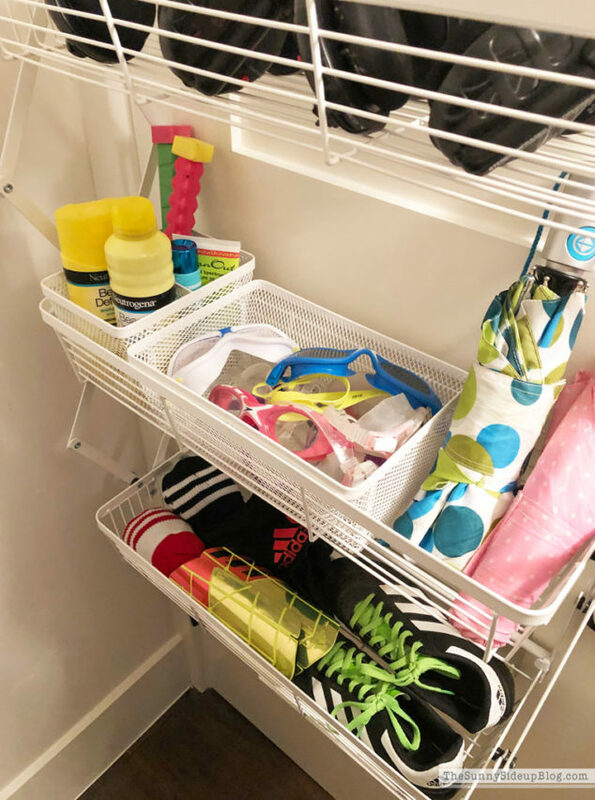 The types of things you don’t know where to stash now fit nicely in this organizer taking up ZERO closet space! 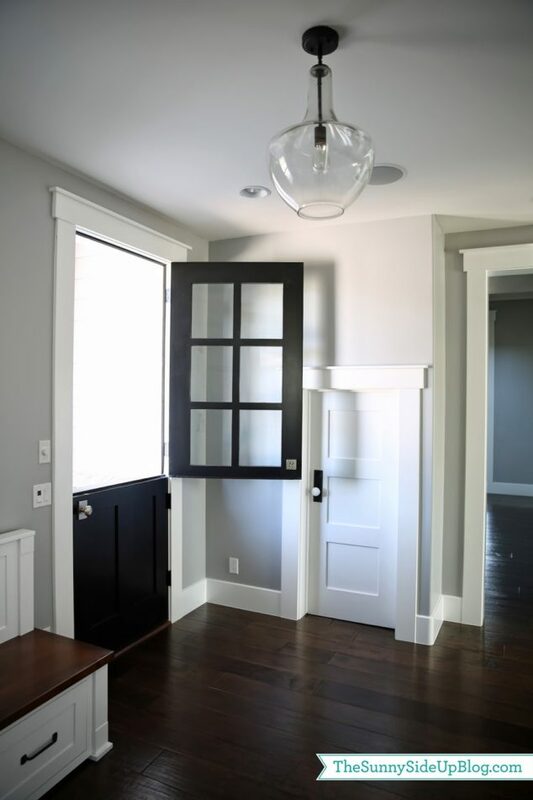 I can think of SO many things you could use this for if you are short on space in your home. In an office to hold wrapping paper or office supplies. 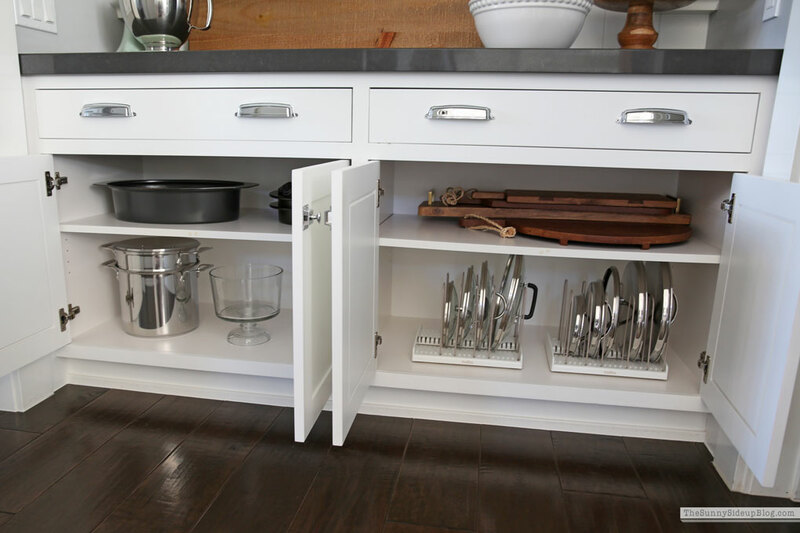 In a pantry to store extra food items. In a child’s closet to hold extra shoes, clothes or accessories. In a bathroom to hold toiletries. 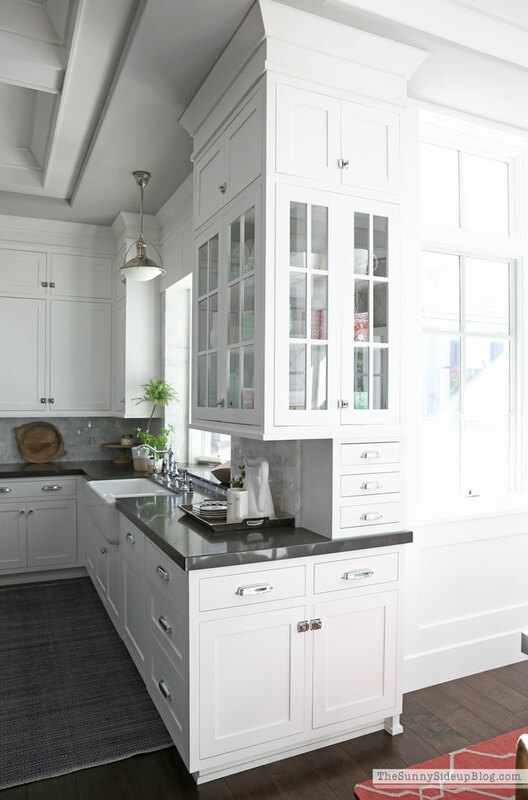 I wish so badly I would have known about this in my previous smaller home! I would have had one on every door in the house! So cute on the outside and this isn’t the only color/pattern they come in. LOTS of fun options! But the magic is on the inside! 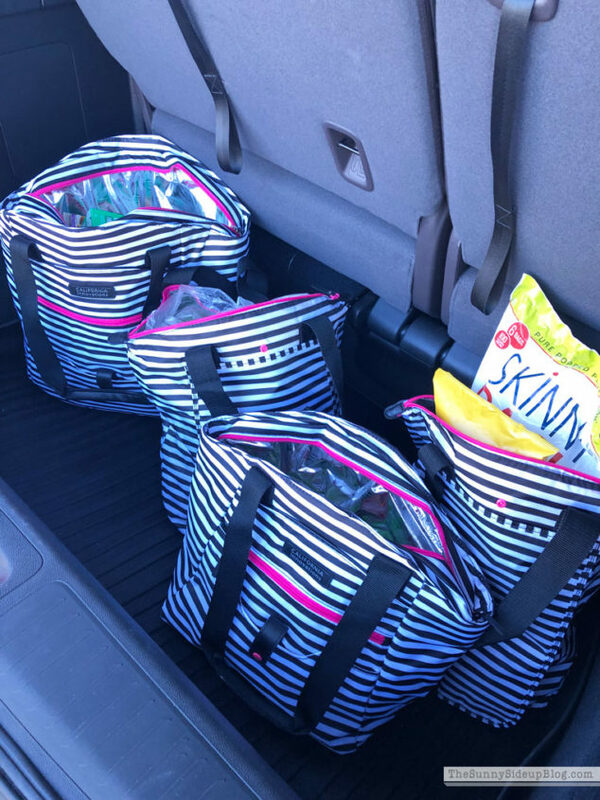 They are insulated and perfect for bringing home groceries or for a day at the pool, park or beach! I’ve only had them a few weeks and we’ve honestly used them almost every single day! I love taking them to the grocery store. I also love taking my kids to the grocery store. 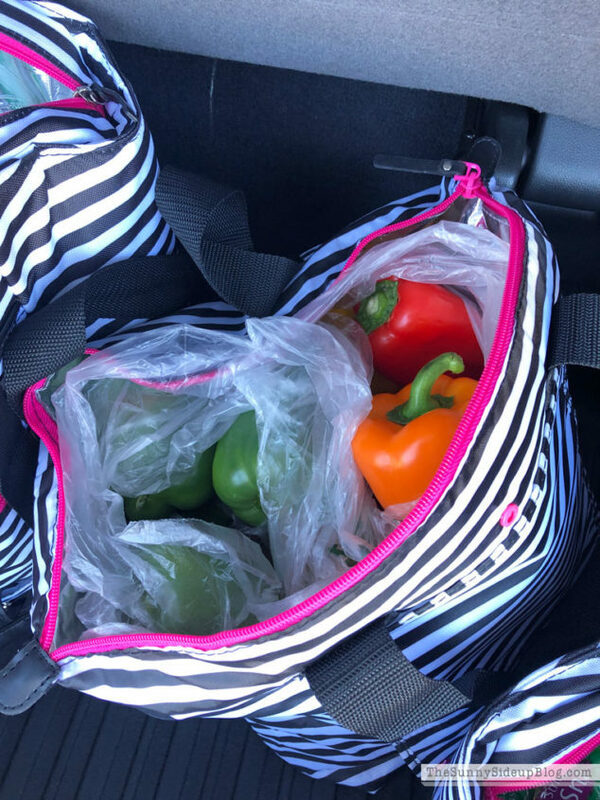 They are heavy duty, easy to carry, a variety of sizes and PERFECT to hold cold items and other groceries. I’ll never use random sacks and bags again! 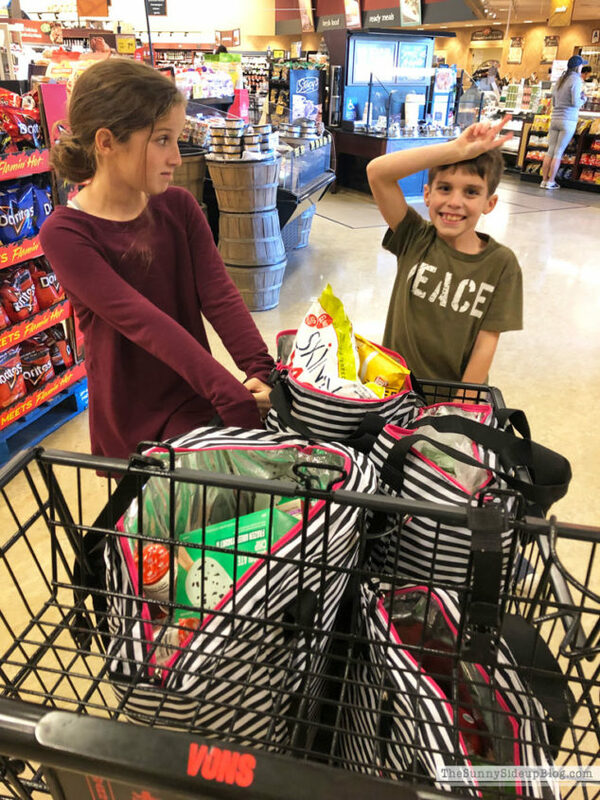 My shopping helper and partner in crime agrees.. they are a hit! 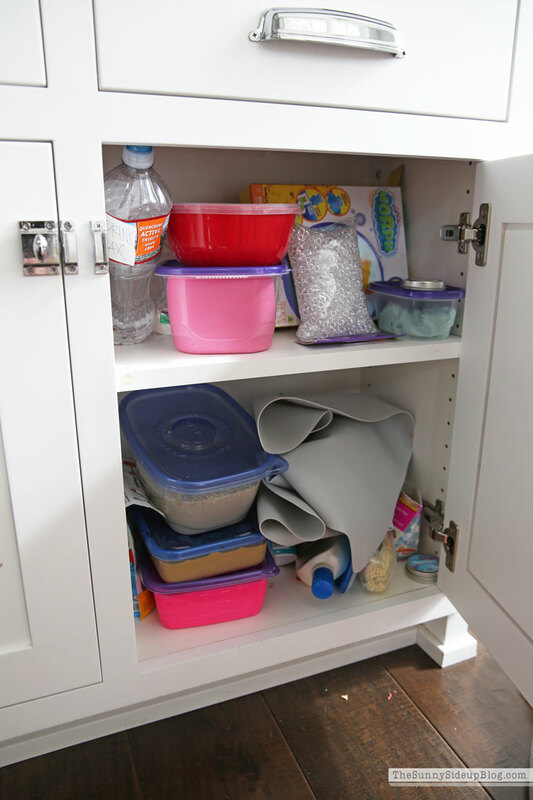 Last organizing solution! 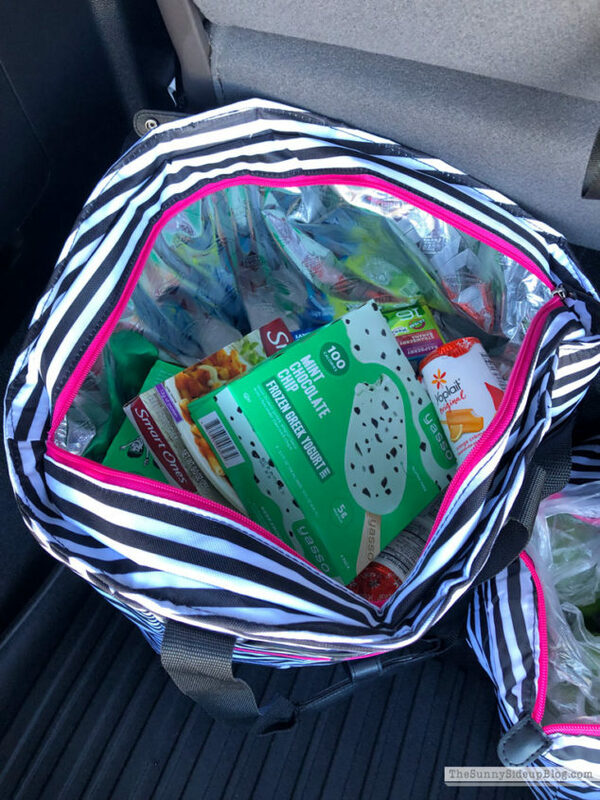 I mentioned in my healthy snack post that if I take the time to prep healthy snacks and things to eat ahead of time we do much better each week! So I was excited to try out this Lock & Lock Nestable Rectangle Storage Set. I knew I would love them! Perfect size options and they are so heavy duty but still lightweight. 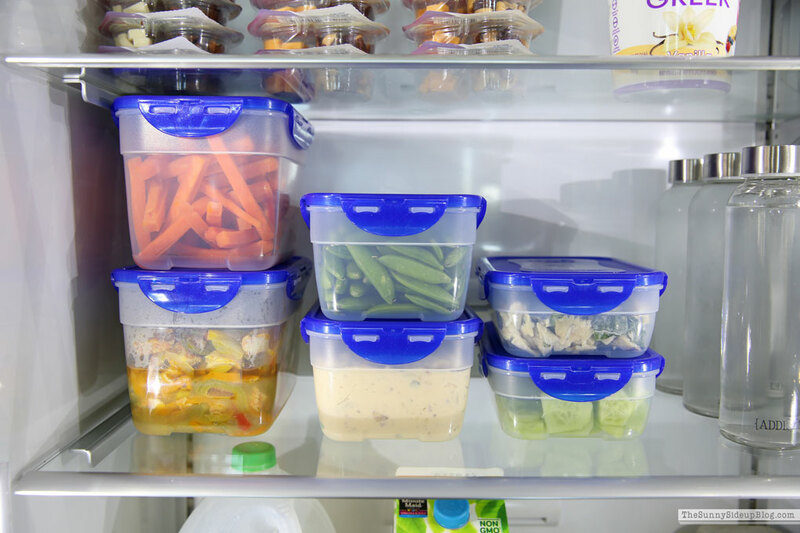 Exactly what I need for storing fruits and vegetables and leftovers during the week. My favorite part? The lids are ALL the same size! GENIUS! 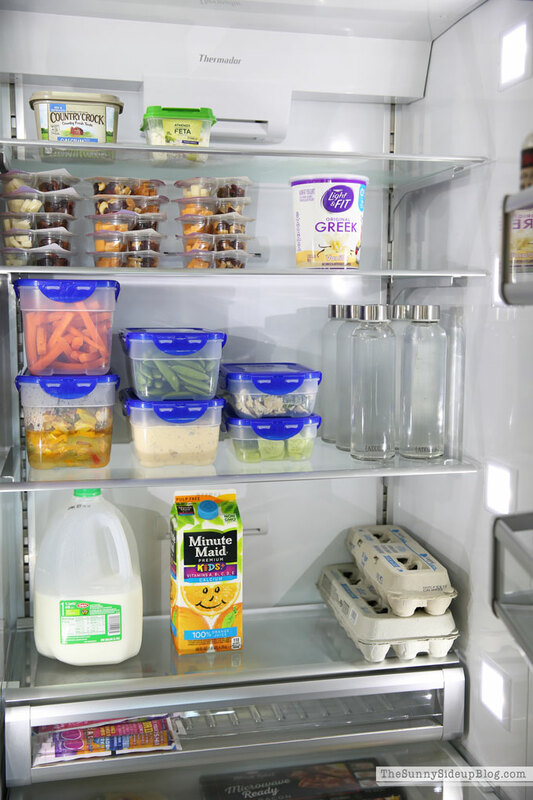 You never have to hunt for the right size of lid (that’s somehow always missing) again. The lids lock in place so nice and easy. I’m ordering another set! Did I mention they are also stackable? Couldn’t love them more. So that’s it! 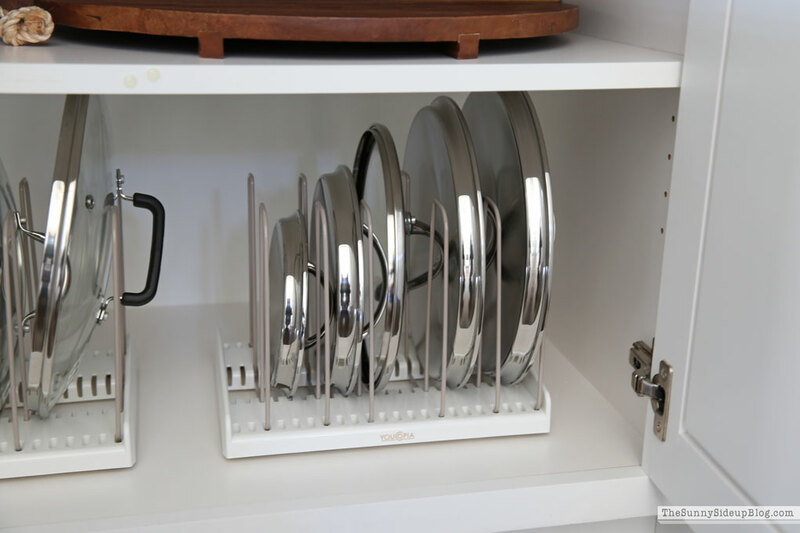 My five organizing solutions from QVC. 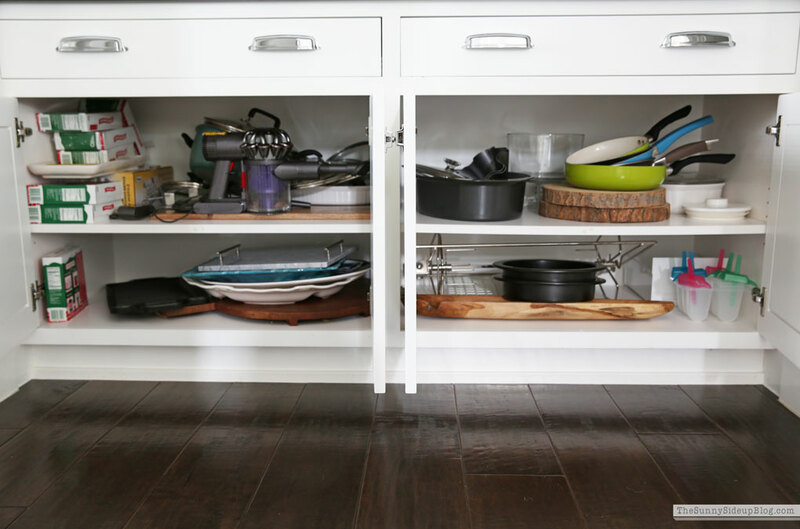 I couldn’t be happier with all of my product selections and about the new organized solutions for my home! Which one was your favorite? This was great! You, as a non-cook, have more pots and pans then me!! Funny. . .and if my fridge was ever as empty as yours everyone would wonder if I had died :) Love all of your solutions — never new QVC had so many great ones. Will be ordering those bags for sure. . . Awesome! I saw the topic on your Instagram feed and liked it there, but this is even better because we get so much more detail. I’m still in love with all your storage spaces! That slime cabinet in your kitchen is fantastic. 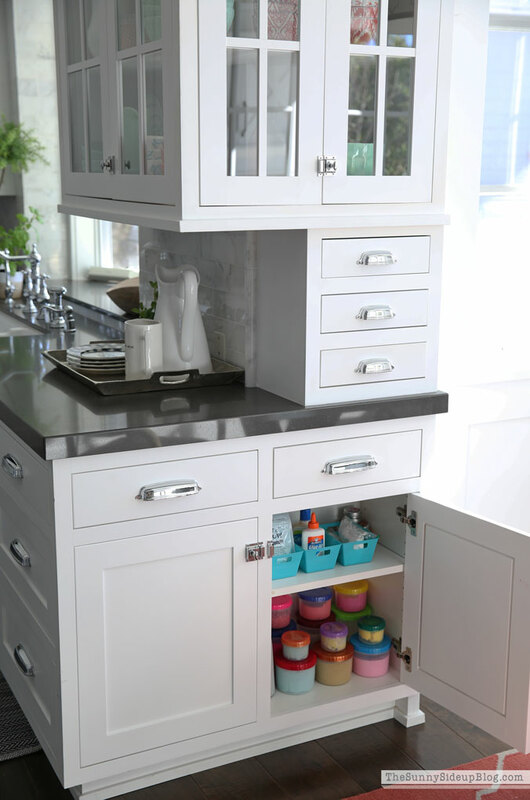 What a great way to use up what could be lost storage space. You’ve shared some great ideas. Thank you! I remember the days when I would try to refresh the house! I miss them. LOL Hope you have an awesome week! Do you have difficulty opening your hobbit door with the organizer on the back? I had an Elfa system on the back of a closet door to hold gift wrapping supplies and had to remove it. The door wouldn’t open wide enough to get in with the wall directly behind it. I’m jealous you’re all putty now! We have that going on over here too, but just can’t quit the slime. Pray for me. ;) My door and closet are so small that it’s definitely tight! But I think you’d be fine with a regular door that’s wider! Hi Erin- Great suggestions! I’m a lock n lock fan as well and love the seals so much. One question: can you still open your “hobbit hole” door as it looks like the over the door storage rack would bash into the wall? Keep those great ideas coming! 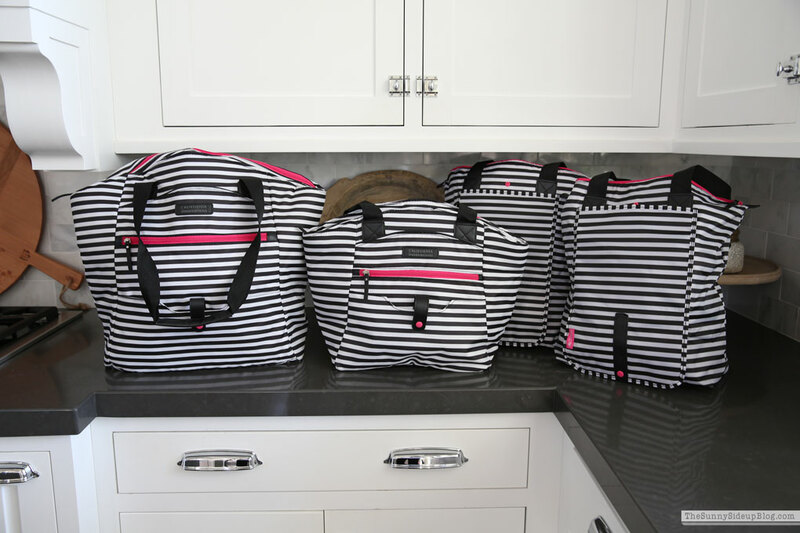 I bought those exact striped bags a few months ago and use them ALL the time! 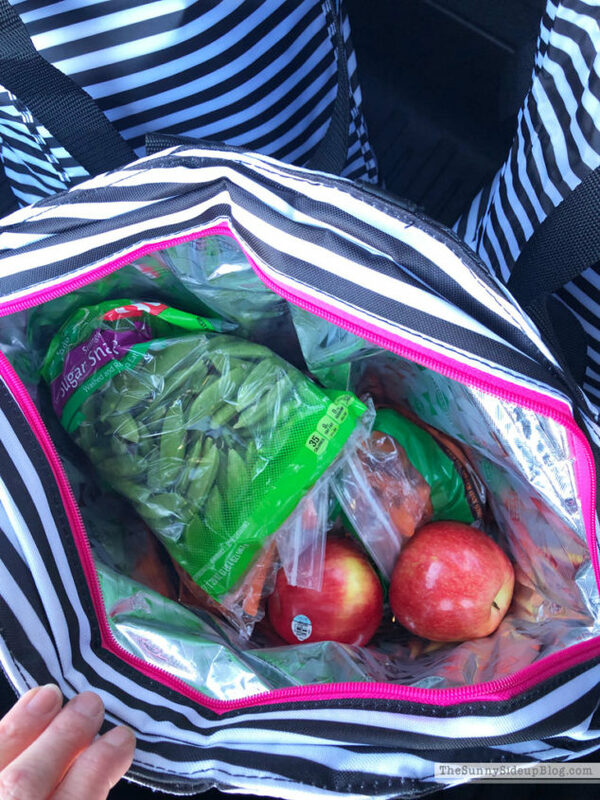 The straps are long enough to swing over your shoulder and the bags will hold a lot of groceries. Lock & Lock containers are the best too. I’m happy to see someone else enjoys them as much as I do. Love your blog Erin! YES! Aren’t those bags the best!? I’ve loved using them for groceries. Thank you so much Shawna! That makes me so happy you enjoy my blog! Addison’s slime cupboard looks great! Question on the hobbit closet: can you still open the door even with the rack hanging on it? 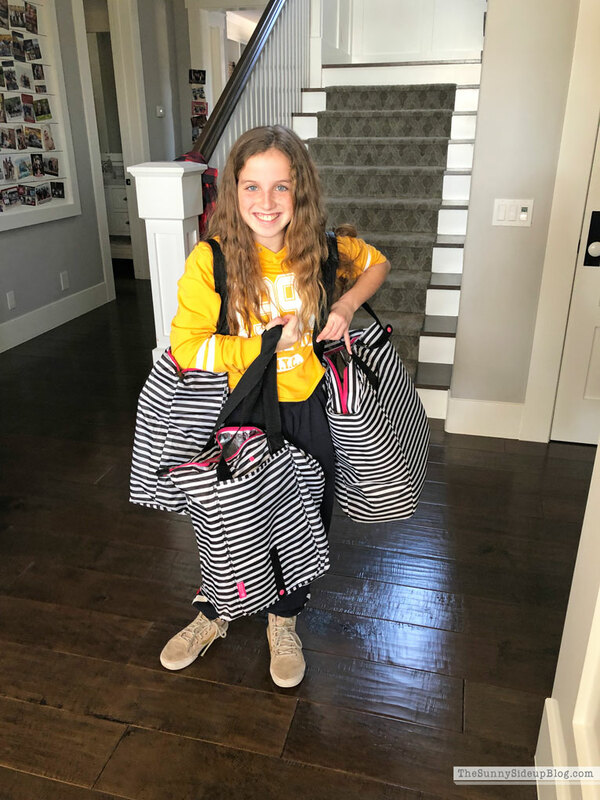 Those bags looks great and handy for picnics! 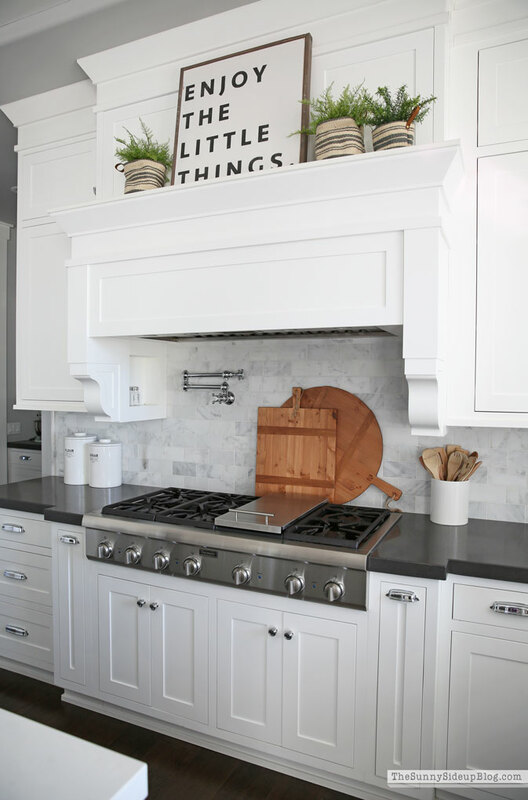 I always love seeing behind someone else’s cupboard doors…thanks for the inspiration to make some changes on the home front! 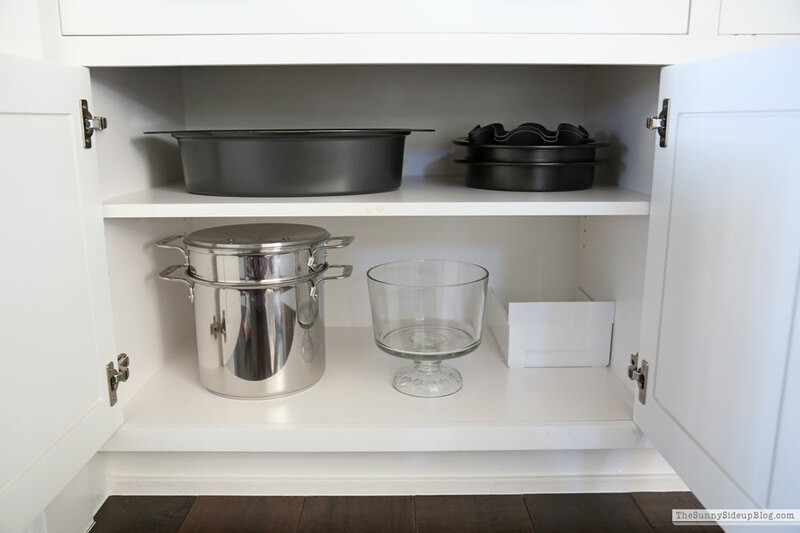 One thought (since the OCD in me completely understands your need to comment on why 1 of your pot lids was not lined up with the rest)…if you lowered the shelf in that cupboard all the way and switched the items to the opposite shelf, would all the lids stand up if they were on the top? There’s usually a little more “headroom” on the top shelf behind the face frame, so maybe all the lids would fit better? Just a thought! Thanks for sharing! These are SO fun, Erin!! Thank you, as always, for sharing! What a thrill to tackle oroblem areas ans find new fun/functional things! Almost wish I had a slimer in my house and could use those cute containers to keep it all organized!! Maybe in 10 years!! 😄 Happy weekend to you! I love all of your tips and tricks! I will definitely be organizing all the slime after reading this. Where did you get your slime mat? Thank you! Thank you so much Colleen! Makes the slime feel a little more tolerable when it’s at least organized, right? :) I got that slime mat on Amazon! I actually just found another one that looks even better. Just type “slime mat” in the search bar! I discovered your blog today – such awesome tips and solutions! Keep it up :) Do you have any tips for how to store and organize empty mason jars and their lids? 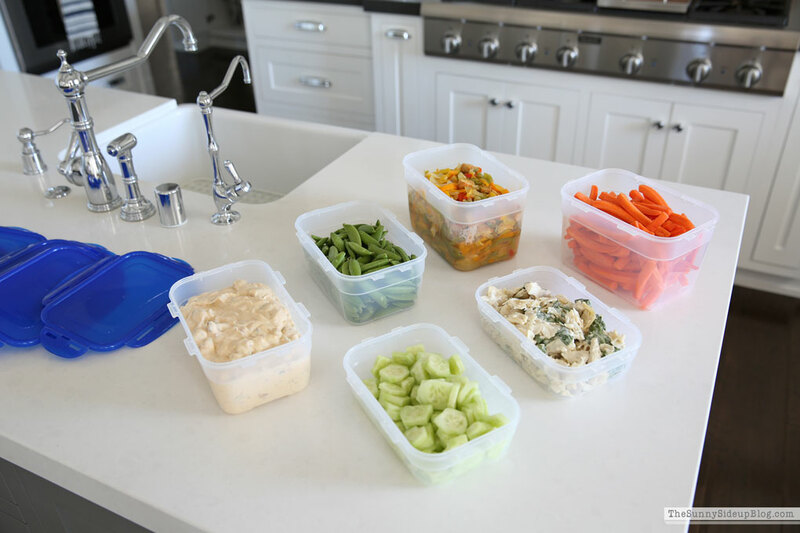 I try to use them as much as i can to store foods and others items, but I also have a bunch of empty ones that are always left over. Thanks in advance! !